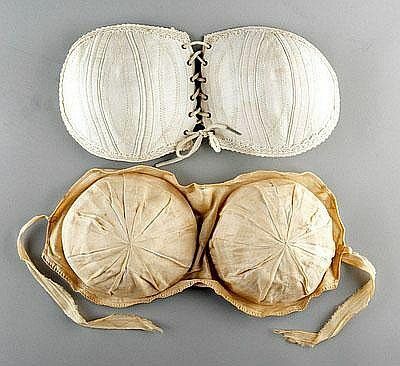 Every woman who has wished her chest filled out a form-fitting dress, stepped into Victoria’s Secret searching for just the right padded (or water) bra, or used silicone inserts to fill out a dress (or swimming suit or bra) understands exactly why American women in the Victorian Era bought Bust Pads. 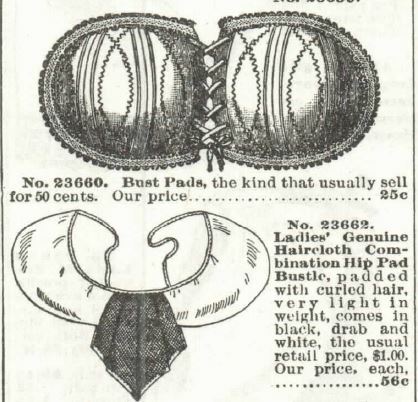 Bust pad and hip pads with bustle, from the 1897 Sears Catalog, no. 104. 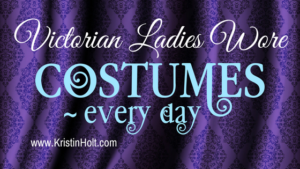 English Lords–physically inactive as most were–often wore girdles to skinny in their midsections and padded their shoulders and arms and thighs in order to cut a fine figure in their expensive attire. 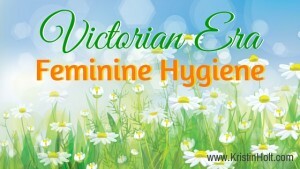 Ladies did the same. Not only was a bit of weight (plump hips, plump breasts and arms) considered a sign of wealth (after all, only the wealthy could afford to be idle and pay someone else to do the work) but considered stylish. 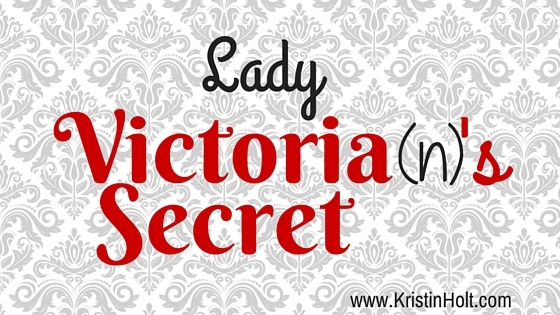 Victorian-era women worldwide had worn their skirts in the large bell reminiscent of Civil War-era images. The bigger the better. 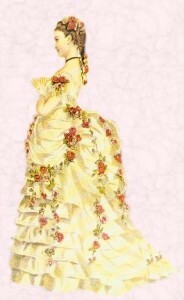 Once the bell skirt began to diminish and eventually embark on the “bustle era”, skirts were still strongly shaped by the foundation garments beneath. 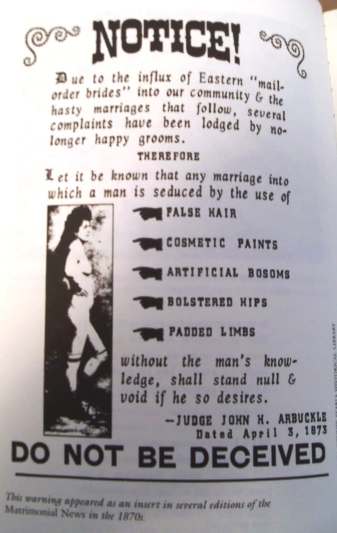 One can only assume Judge John H. Arbuckle did not mention bustles in his list of divorce-able offenses because men understood, generally, that the shape of a woman’s lower body was not defined by the shape of her skirt. so why was the padding of hips listed? Note the first image, above, showing the Sears Catalog offering of a combination bustle and hip pads. 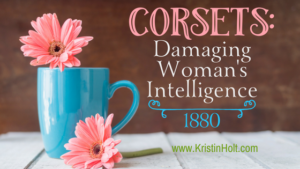 In the Victorian Era, steel boning in corsets strengthened the garment adequately to constrict the waist smaller than ever before. 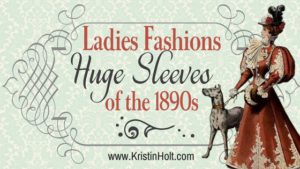 Those who study fashion will note that every element of a woman’s costume drew the eye to the smallness of her waist: balloon sleeves, wide collars, drapes across the hips, and apparently–padding of those hips. 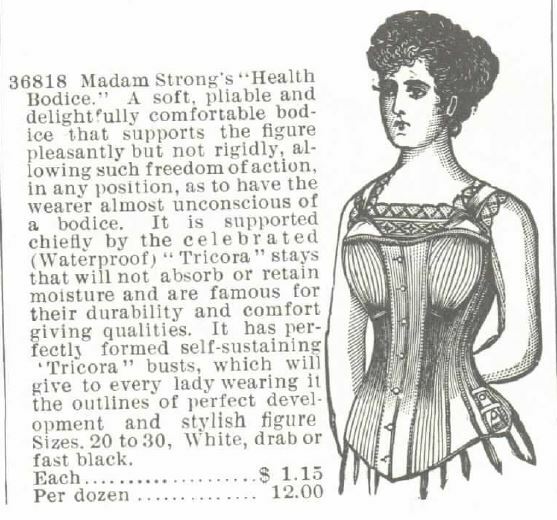 Corset Advertisement within the Montgomery, Ward & Co. 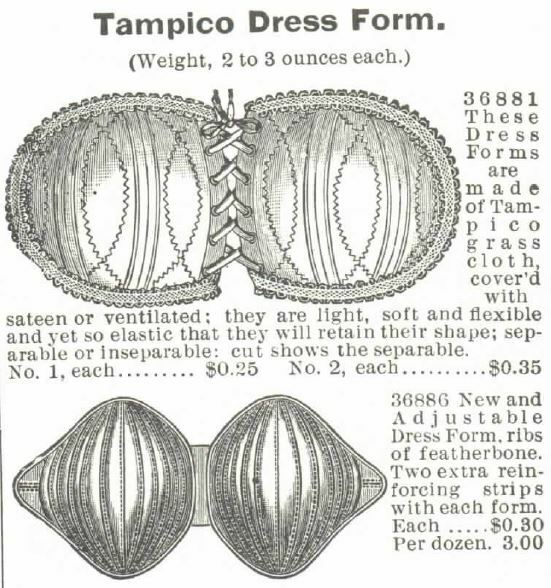 Catalog of 1895, stating: “It has perfectly formed self-sustaining “Tricora” busts, which will give to every lady wearing it the outlines of perfect development and stylish figure. 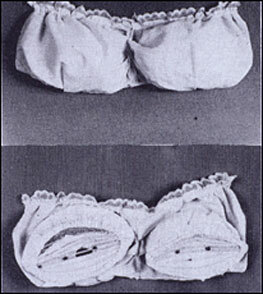 Two examples of Bust Enhancers, labeled “Dress Forms” for sale in the Montgomery, Ward & Co. Catalog of 1895. 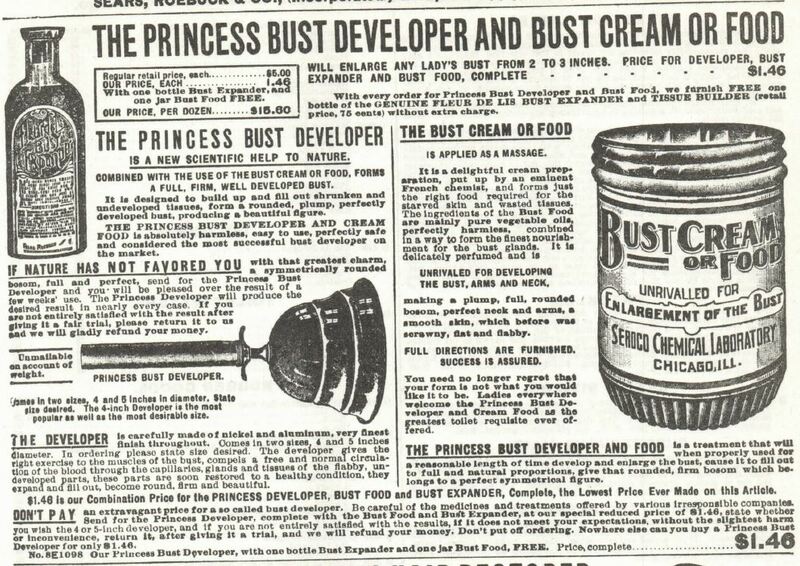 Princess Bust Developer and Bust Cream or Food, Sears Roebuck & Co., 1897. Scott Hipform and Bustle. C.1903. 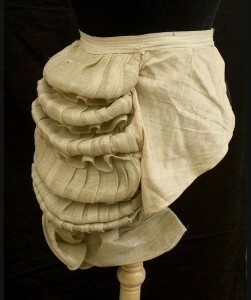 An unusual shaped three piece turn of the century bustle made out of white sateen and stuffed with horsehair. 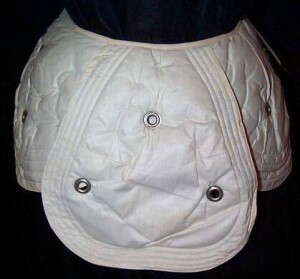 Metal grommets allow for ventilation. 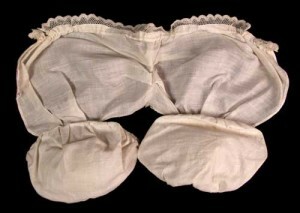 This type of bustle was worn by extremely slender women who wanted to pad out their hips and bum to achieve a balanced hourglass shape. The original tag is still attached is is marked as being a size 8. 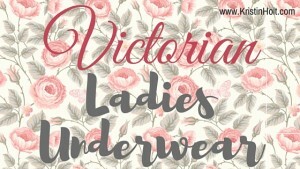 Sizes 00 up to a size 1 were worn by very large ladies as they were made less padded, etc. with sizes going up for smaller figures. 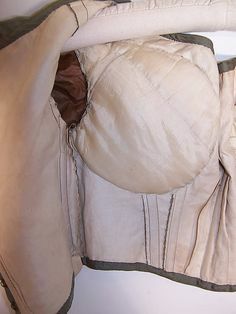 Via Pinterest and Corsets and Crinolines.